Whew! Thanks, Sumobaba. Am I relieved! 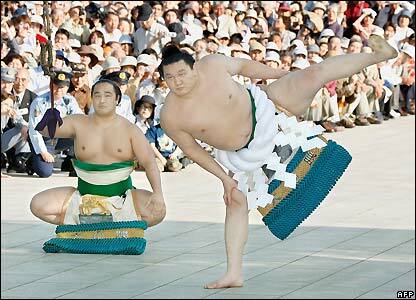 >throughout the day, or Hakuho has really put a unique stamp on his ceremony. >Or, should I click on picture #5? >>I believe it was Ryuo as dew sweeper.